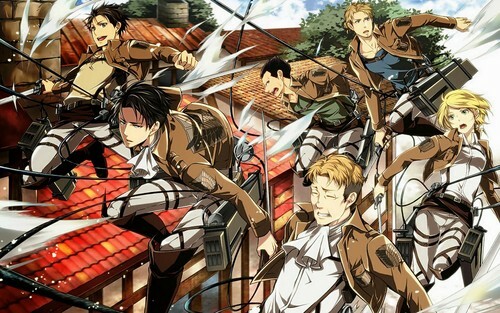 Levi Squad!. . HD Wallpaper and background images in the Shingeki no Kyojin (Attack on titan) club tagged: photo petra levi eren oluo them other guys 3dmg. This Shingeki no Kyojin (Attack on titan) wallpaper might contain anime, comic kitabu, manga, cartoon, and mkono.